It’s hard to believe that it is mid October. The year has flown by and the heat and drought keep going. We went to the Tyler Kennel Club show this weekend. Though we only entered three Otterhound Dogs each day we took six for Meet the Breed on Saturday. Everyone enjoys Meet the Breed. They like laying around waiting for someone to stop by. When someone does stop they all want to meet them. 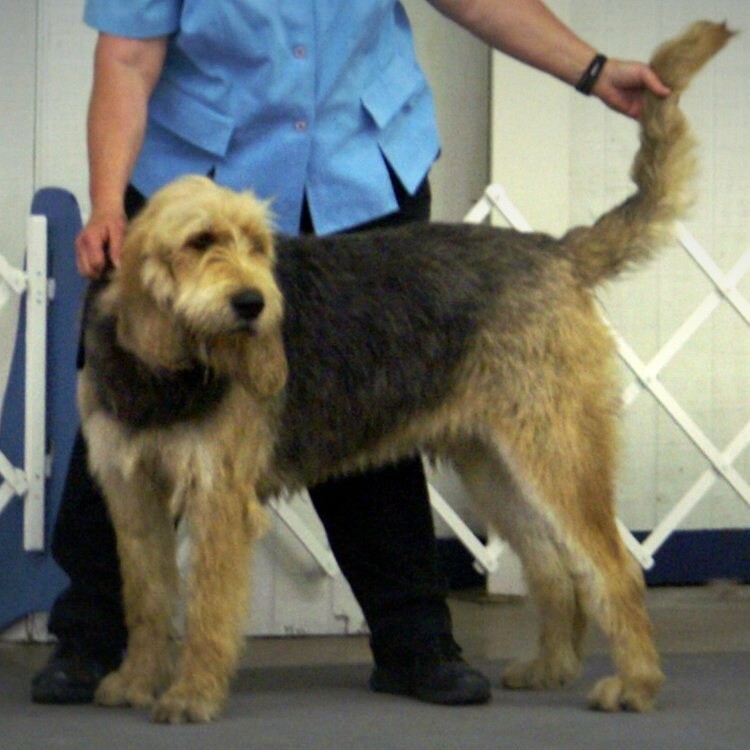 The six we took provide a wide range of age, color and coat type of Otterhound Dog. Nicky is almost 8, Pris and Quick are 6, Abilene is 5 and Bonney and Barclay are two. Nicky is liver, Pris grizzle, Quick black and tan, Abilene tan, Bonney almost a silver grizzle and Barclay black grizzle and tan. Coats range from Nicky’s softer, longer curly coat to Quick’s crisp, short almost wiry coat. Some times it seems like the dogs decide who will win. Saturday, during the judging Abilene acted like she had a limp and Bonney took Best of Breed. Then on Sunday Barclay seemed to think it was his turn and he took Best of Breed. We never know who will win the Otterhound Dog class but everyone has a good time and a chance to win. The best part however is coming home.